Tempered Glass Screen Protector for Samsung Galaxy S Duos S7562. 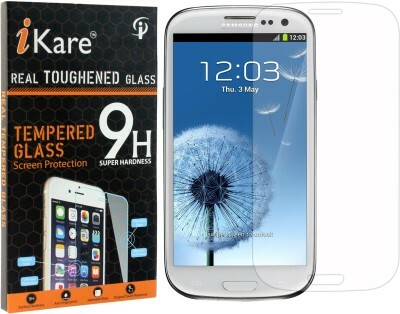 iKare Samsung Galaxy S Duos S7562 Tempered Glasses can greatly absorb external force from hitting, shocking, dropping etc. , it covers your device to be the best buffer for the screen.. Surface hard coating layer can effectively resist wearing, rubbing and scratching to keep your screen brand new..
Close to 100% Ultimate Clarity. Ultra transparent body providing good visual effect for everything displaying on your screen. Oleophobic coating reduce fingerprint and smudges to affect the clarity, keep your screen in clean and clear status..
No influence on touch responsiveness and accuracy of your screen after installing our Tempered Glass, enjoy your clicking and playing..
PRICE CHALLENGE: IF YOU FIND A BETTER GLASS THAN OURS AT THIS PRICE, MAIL US AND CLAIM YOUR MONEY BACK!